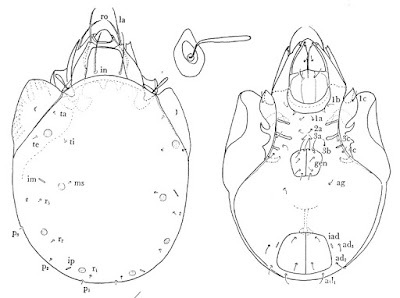 Dorsal (left) and ventral views of Anellozetes fusiformis, with close-up of sensillus, from Hammer (1970). 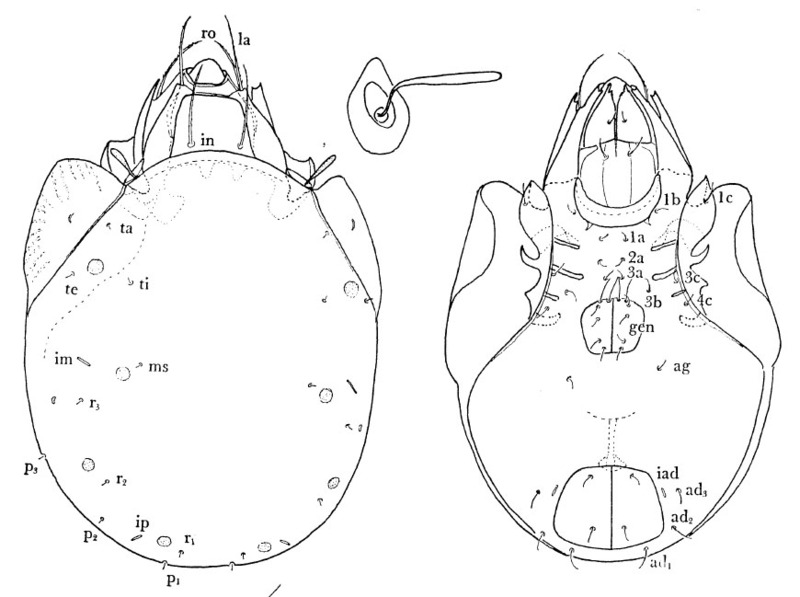 Anellozetes is a genus of humerobatid oribatid mites with a scattered distribution in Africa, Asia, Oceania and South America (Subías 2004). Hammer, M. 1970. A few oribatid mites from Easter Island. Pacific Insects 12 (2): 279–289.